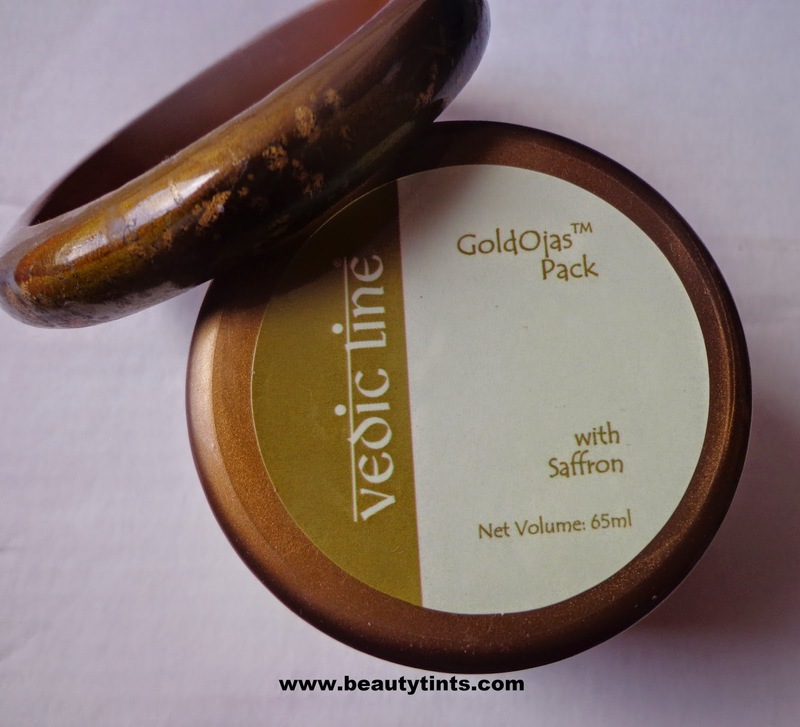 Today I am reviewing one more Face Pack from Vedic Line which is their Gold Ojas Pack with Saffron,I bought this along with the White lily Passion pack which I reviewed yesterday.This is also a gel pack. 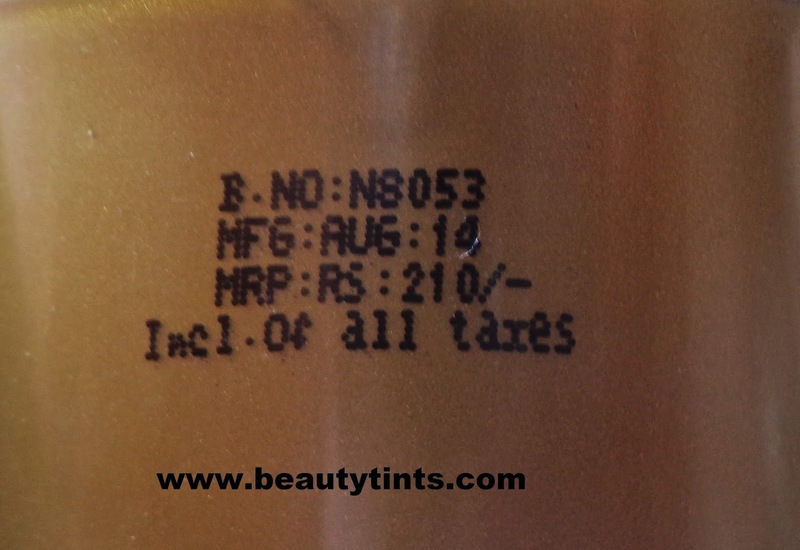 Packaging :It comes in a Golden brown colored tub packaging. 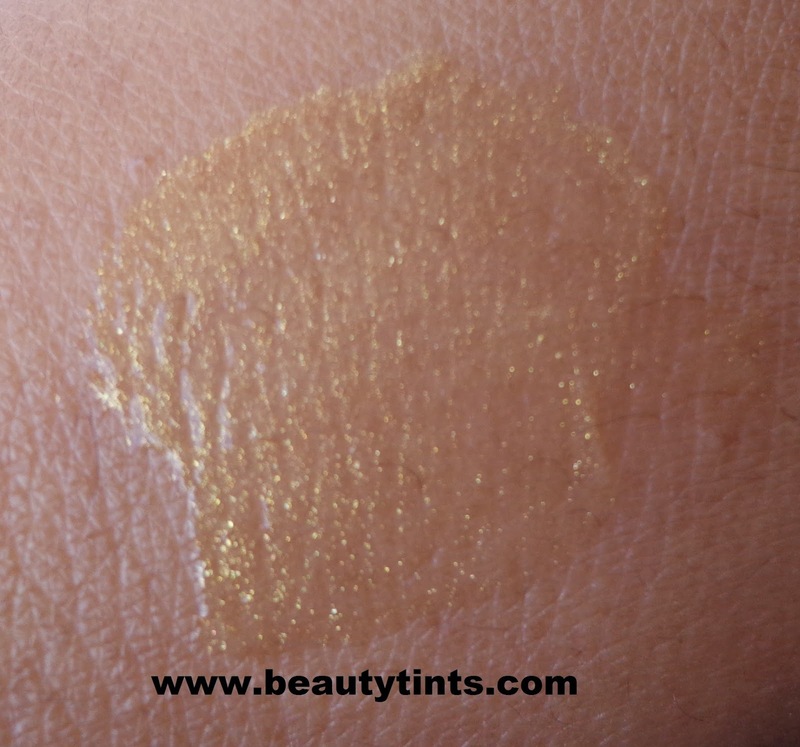 Color and Texture : This is a golden colored soft gel pack with some micro shimmer particles may be gold dust. 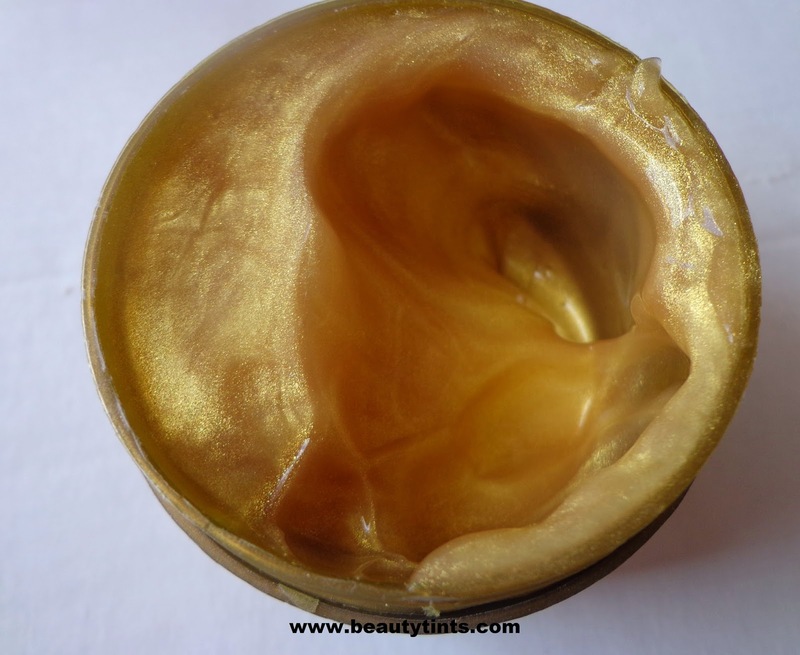 Benefits :Get rejuvenated by applying this ‘Gold Ojas’ pack from Vedic Line. 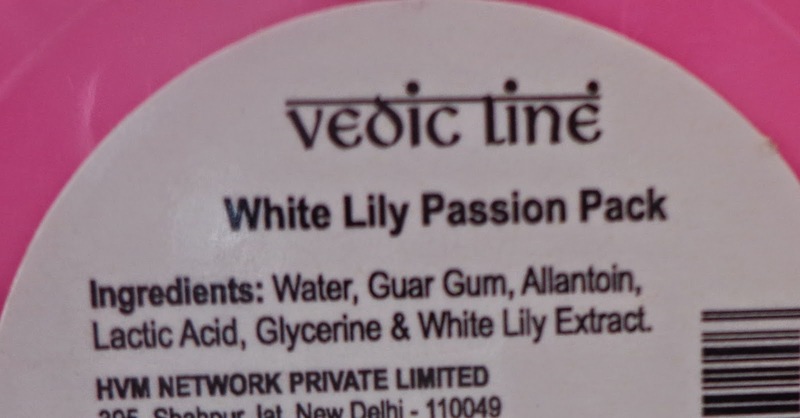 With the use of this pack, your skin will look naturally beautiful and glowing. 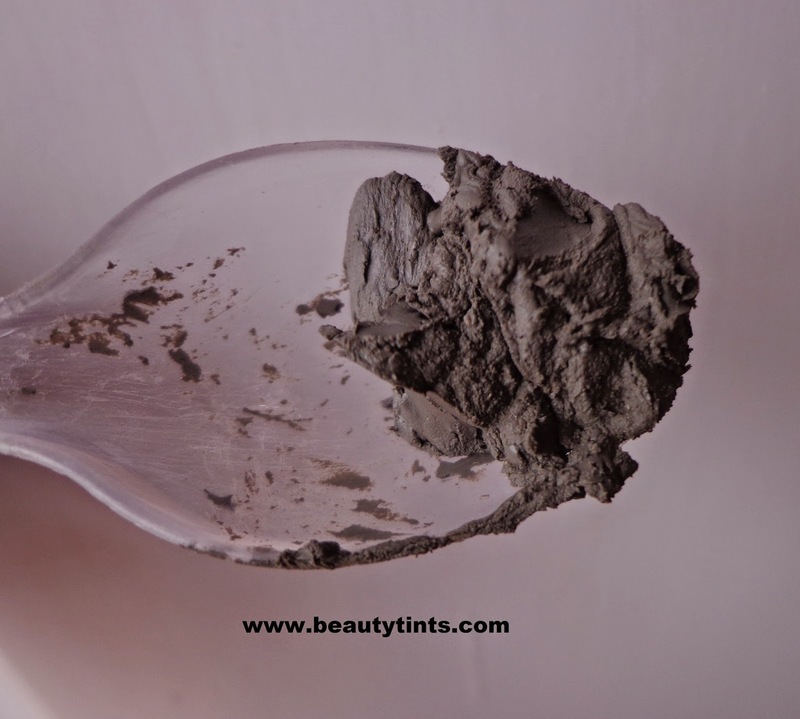 It also has anti-oxidant properties and so is a must-have for your skin. 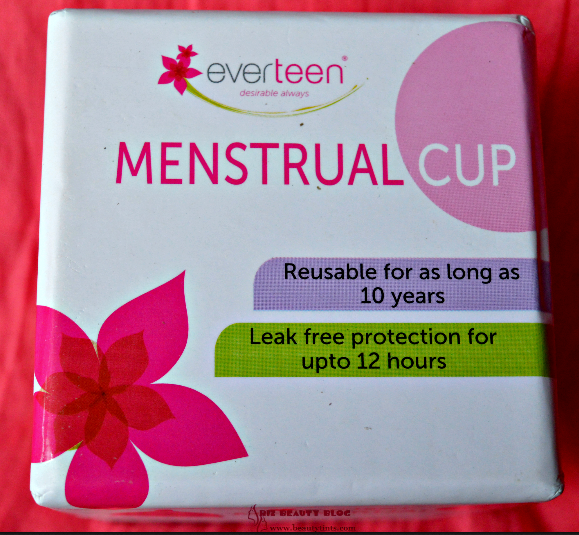 Availability : Available from jabong.com. You can buy it here. 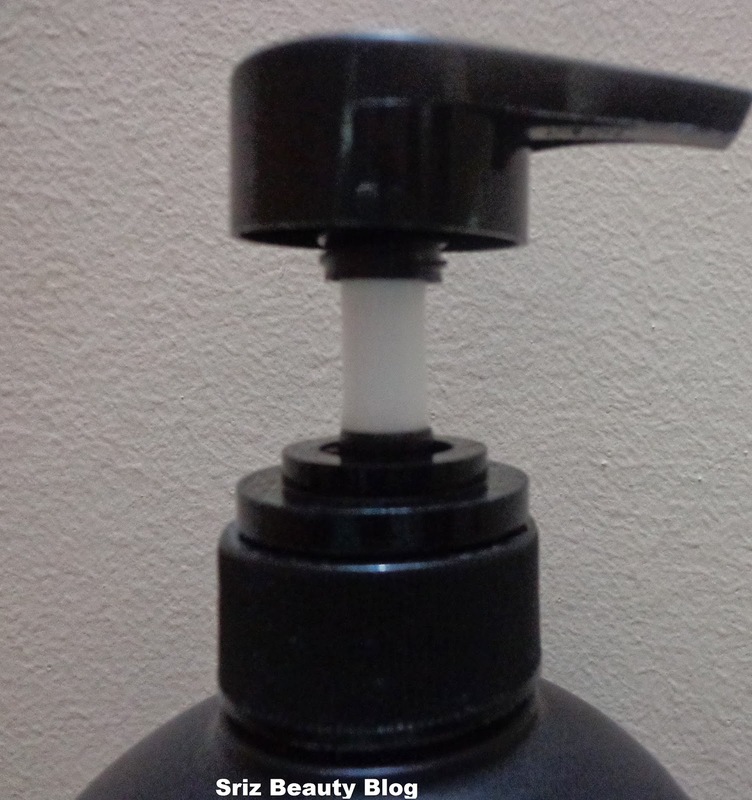 Directions for use : Apply it on Moist skin,when semi-dry,clean it. 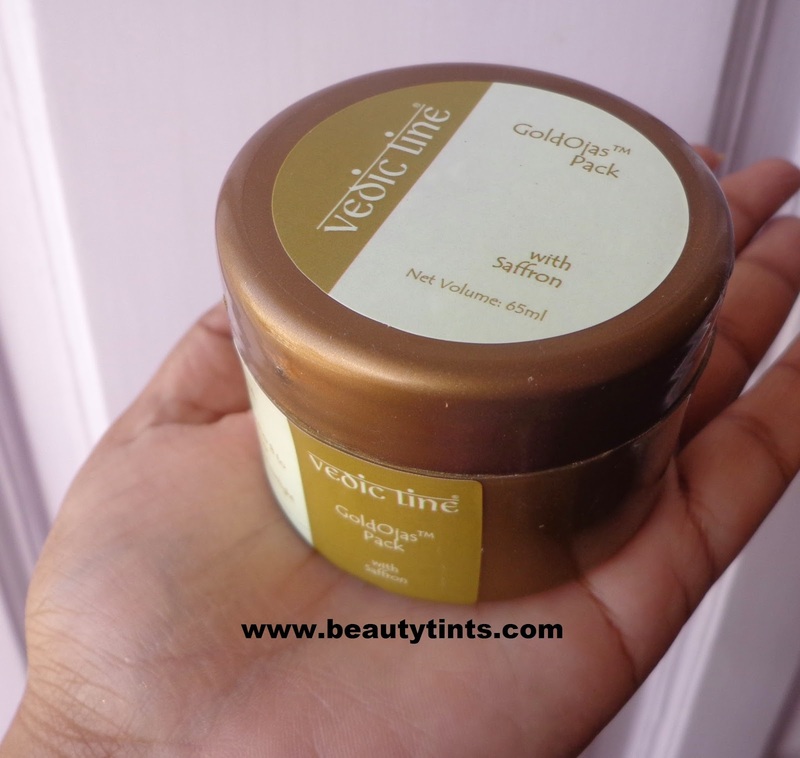 This is also a gel pack which is super easy to apply and remove.Can be used before attending a party or a function.It gives a wonderful glow to the face with a golden touch.I used this for 3 times,every time I got compliments about the glow on my face.I apply it to wet face and rinse it with a toner as suggested.The gold dust is very fine and does not interfere during application.This gel spreads easily o to face and a little goes a long way.Highly justified for the price.It also helps in clearing the tanning to some extent.It moisturizes the skin well and it may be suitable for almost all skin types. 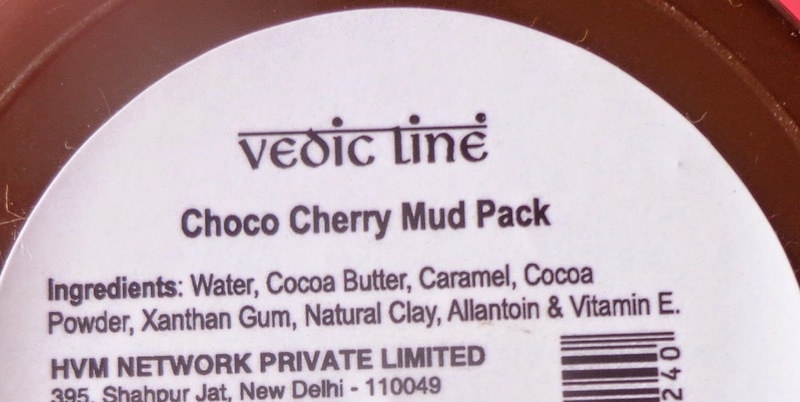 It contains Lactic acid which is a known ingredient for skin lightening.It is free from parabens.Also check out my review on Vedic Line Choco Cherry Mud Pack. 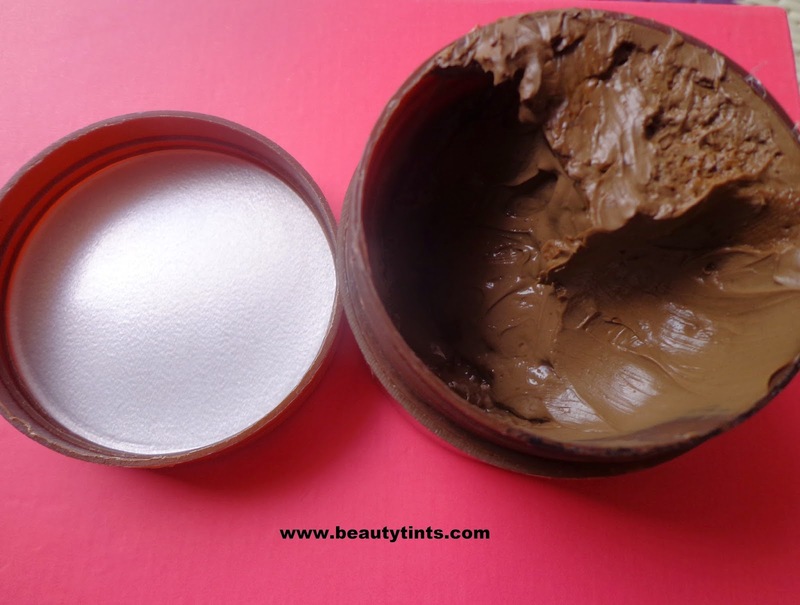 Instantly brightens the skin and gives a wonderful glow. 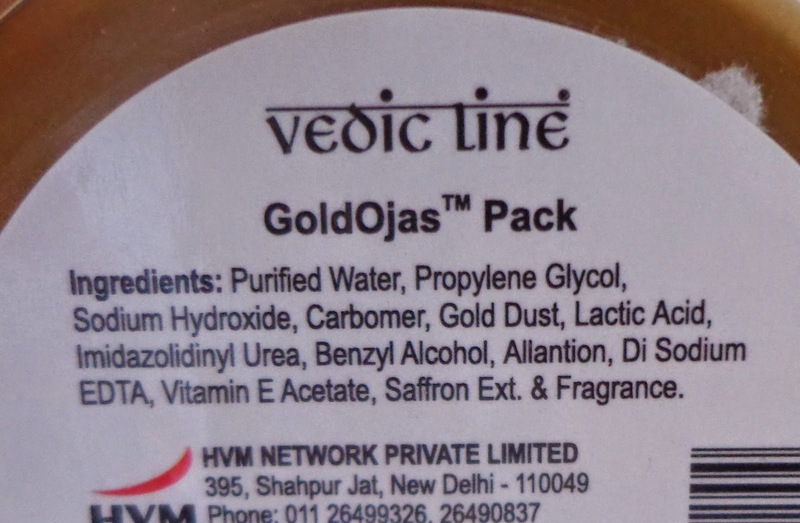 Final Conclusion about Vedic Line Gold Ojas Pack : Those who want a wonderful glow to the face,should definitely try this.It removes tanning to some extent.A very affordable gel pack with great results!!! 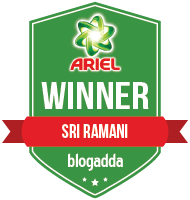 Thank u Sweetie <3 for your great reviews!